The Continuous Hot Water Innovation Has Brought A Lot Of Convenience To Our Lifestyles. Many people are now thinking about replacing their old water heating system with the electric tankless hot water heater to get a limitless and uninterrupted supply of nice, steaming hot water throughout the year. Does it seem exhausting to keep all the checks for your conventional water heater? Is it consuming too much energy? Or a leakage has ruined the floor? And the most unpleasant thing that can happen on a cold Thursday night is running out of hot water because the tank has leaked or there is clogging at the openings which you are too lazy to do so instead you think of skipping the hot shower you were planning throughout the hectic day. All of these troubles can end, if you opt for electric tankless water heaters that heat water instantly as you turn on the water tap and require no maintenance. There is absolutely no way anyone wants to see a big bulky tank occupying all the space and not going with the interior. 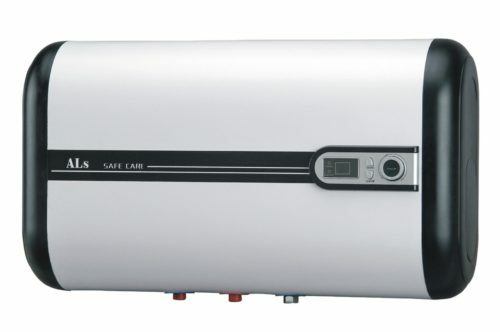 The best thing about this tankless hot water heater is obvious by the name; it comes without a tank. Whenever you need warm water, you just have to turn the faucet on, and the water begins to flow via the pipe, sensors switch around the heater which in turn heats up the water on its way towards the tap. Generally, these units possess a long coiled pipe in them which enables water to go a long distance in the unit, therefore permitting a long time to heat up the water. You won’t have to worry about a bulky tank turning septic with disuse. Yes, if the water isn’t used, it will need to be released and the tank refilled or you’ll be subjected to a horrid smell. This means you can say goodbye to tank maintenance, calling plumbers in the early morning to fix up the leakage issue, and having sediment clogging in the tank. Having this type of hot water heater saves much space in the house and adds a significant difference if you have a small space. As these days people probably prefer small clean apartments in the city rather than big houses where they manage to hide the tanks in the back area, a tankless water heating system can prove to be the ideal choice. Coming towards the energy consumption, your already installed tank water heater consumes a lot of energy on top of requiring maintenance every other day. Conventional water heaters need a constant power supply to keep the water warm throughout the day. On the other hand, the tankless versions heats up the water right at the instant when you tap on the water supply. This happens when the water goes through different heaters before coming out of the tap. Simple and easy! Isn’t it? This saves up so much power which can be seen at the end of the month. Adding up to the list of pros for an electric tankless hot water heater, here’s a really appealing one. Since you don’t have a storage unit in the first place, you never run out of warm water. No matter how many users you have, you can still have hot showers and long baths without worrying about the water tank of the heater going empty. So instead of constantly heating water and storing it, and wasting so much energy in the process, you can heat up the water the moment you need it. While moving to a new place, it’s easier to have an electric tankless hot water heater rather than a water heater that comes with a tank. The reasons are obvious; you can’t move the huge water tanks easily without worrying about any damages to them in the process. So, it is wiser to obtain a tankless heating system that is more durable and requires less maintenance. It might cost a little more at the start, but you will save up in utility bills every month, and never have to worry about leaks and sediments again. The conventional tank water heaters may be less money in some cases. However, they do come with a lot of work such as regular maintenance, much higher utility bills, a limited amount of warm water, etc. They also tend to damage easier, thus requiring more repairs and a faster replacement than the tankless version. To get rid of all these worries, the electric tankless hot water heater can be the best choice for your home. With a tankless water heater, you can enjoy on demand piping hot water at your fingertips. No more running out of water on a cold winter morning, or having to wait for more water to heat up. Simply open the tap and enjoy.